The Samsung Galaxy S5 is now available to pre-order on Three. Follow the link below to get yourself booked in for some of that S5 goodness when it is available and be one of the first to own Samsung’s latest and greatest smartphone. Full details of the available mobile plans and the device itself are available at the link. Not ones to do things by halves, the team at Three have not only announced new 24 month plans with terrific value propositions but have today announced that they will be ranging the new Samsung Galaxy S5 from 11th April. The new smartphone from Samsung will be available to pre-order from 28th March via a number of channels – see their press release below. I won’t bore you with the technical detail of the Samsung Galaxy S5, that has been done on any number of other blogs. Suffice to say that if you are in the market for the latest Samsung and want a cracking contract to go with it then you’ll be hard pressed to do better than the S5 coupled with Three’s One Plan that will give you truly unlimited data (Three call it All You Can Eat or AYCE) to the device and 2GB of thethering (called Personal Hotspot) to your laptop, tablet or other device capable of WiFi with your smartphone. Along with AYCE data the new version of the One Plan also includes AYCE Text and Voice, all for a fixed price each month. No more surprises. Three’s full press release on the new Samsung Galaxy S5 follows below. Three have been busy revising a number of their mobile phone plans and today have released the details. Some of it is good, some may not be quite so good, it all really depends on how you have been using their service to date. The changes only apply to new 24 month plans taken out as of now. Existing plans remain unchanged, so unless you renew or take out a new plan then you will largely be unaffected. These changes also do not apply to 30-day Sim-Only One Plan contracts. The good news is that numbers beginning 08 will be subject to charges that match those we enjoy on landline telephones, rather than the swingeing rates that we’re usually charged for using mobile. This is excellent news and introduces a level of fair play into mobile use that has never existed. Other mobile operators take note. Three have also abolished their much disliked £15 unlocking charge. Now you can have your contract device unlocked for free, although I’m sure certain terms and conditions apply. The precise detail is not yet available, but this is good news indeed. Next up is information that Three will tell you by text message as you get close to using up your monthly allowance of calls, texts and data. This is in a bid to prevent the dreaded bill shock that some people encounter when unwittingly going over their limits. For plans like The One Plan that is likely to be a rare event, but it is definitely a nice to have. For avid mobile data users the changes may not be entirely to your liking. First up, Tethering is now called “Personal Hotspot” by Three, which I will refer to as PH for brevity. Then Three have included PH in all of their mobile plans, and all of your monthly data allowance may be used as PH or on-phone or any mix of the two, up to your limit. This is good. However, for those with AYCE in their plans (and this includes The One Plan) there is a PH limit of 2GB per contract month. And that may or may not be so good for new customers. Already there has been a massive buzz on the social media with a lot of FUD (Fear, Uncertainty, Doubt) being expressed. But Three’s Social Media team have been very quick and kind enough to respond to specific questions that I have posed to them in a bid to clear the FUD entirely. 1) Are any of these changes being applied to existing 24 month contracts? – Absolutely not. 3) What about other Three customers, will they benefit from the new 08xx charges (new deals as well as retrospectively to existing)? – No. Only new customers signing up to new phone 24 month contracts. Here’s the full information release by Three. Ofcom tell us that UK Mobile consumers spend over £600 million on 0800, 0845 and 0870 numbers every year. I think we’ve all experienced that sinking feeling you get when you first look at your phone bill, only to find it’s much higher than you imagined, and the culprit is very often those pesky out of bundle calls you forgot you’d even made. 47% of mobile users have experienced bill shock at one time or another and almost a third of these (31%) say it was down to out of bundle expensive calls. Well we thought it was about time customers actually got the bill they were expecting, which is why, on all of our new Pay Monthly plans, 0800, 0808 and 0500 calls will now be free, when you sign up for 24 months. Not only that, but 084* and 087* numbers will be a mere 5 pence per minute. Free 0800 numbers aren’t the only benefit of our new Pay Monthly plans. We want to really put you guys in control. You’ll be able to set caps to stop you going over your minute allowance and you’ll be able to block spending on expensive numbers, such as premium rate numbers. You’ll also receive text alerts, letting you know when you’re close to using up your voice and data allowances. So you’ll know that it probably wouldn’t be a good idea to watch those last few episodes of Game of Thrones just yet… And with All-You-Can-Eat text messages, you won’t need to worry about those at all! Another little change we’ve recently put in place is free unlocking for our devices, something that previously cost at least £15. There are also some changes to our tethering offering. You’ll hear us talking about Personal Hotspot rather than tethering from now on. With our old plans, using your phone as a Personal Hotspot was only included if you were on The One Plan. So we’re really pleased to let you know that all of our new plans will now include this functionality. With our new plans you’ll be able to use all of your data allowance on your Personal Hotspot if you wish, unless you have All-You-Can-Eat data, in which case you can use up to 2GB of this on your Personal Hotspot. We feel very strongly that All You Can Eat data is something we want to continue to be able to offer as many customers as possible. But when that data is used for Personal Hotspots, it can put a strain on our network. We need to protect the network experience for all customers and this is why we’ve taken a decision to put this limit in place. With all of the above as well as Feel at Home, 4G at no extra cost (when you have a 4G ready device) and free device unlocking, choosing Three seems like a darn good option! One of my fellow bloggers had an opportunity to meet with Three UK and review their 4G service that is in the process of being released into the UK. Here is what he found, presented in a very interesting article. Earlier this year Three launched a new service called Feel At Home that allowed their customers to roam abroad to a number of countries and be able to use your UK plan while there for no additional cost. Feel At Home allows Three’s customers to use their phone or tablet as they would do in the UK without incurring international roaming charges. This is a remarkable facility that has again broken new ground by being free to use. There is no set up fee, no connection charge, no gotcha. The countries in which Feel At Home initially launched were Austria, Sweden, Denmark, Australia, Italy, Hong Kong and the Republic of Ireland. With today’s news Feel at Home is now available in a total of 11 destinations abroad, the new countries being USA, Indonesia, Sri Lanka and Macau. Three is the only UK operator to offer their customers the same in-country mobile phone and mobile broadband rates for no additional charge as if they’re at home whilst abroad. Feel At Home is available to all customers on pay monthly, Pay-As-You-Go, SIM-only, mobile broadband and business plans as long as international roaming is activated. And that last bit is very important, you must arrange for international roaming to be activated before you travel, and that will automatically imply Feel At Home. Feel At Home will activate automatically when you switch on your phone in one of Three’s listed countries. There is nothing for you to do specifically. It couldn’t be simpler, or as Three might say “No faff”. If you exceed your plan’s allowance while in a Feel At Home location you will be charged special roaming rates that are cheaper than Three’s regular roaming rates. Finally, Three do point out that tethering under Feel At Home is not allowed. So don’t do it. Wednesday 4 December 2013: Start spreading the news, Three has extended its unique ‘Feel At Home’ mobile roaming offering so customers can now travel to the USA and an additional three places and stay in touch with friends and family back home. Feel At Home provides a simple and affordable way for the 5.5 million* Brits who visit the US each year to use their phone or tablet as they would do in the UK without incurring international roaming charges. For instance you can call home, text friends, tweet, check-in on Foursquare, update a status on Facebook or post photos on Instagram while abroad, using your UK price plan allowance as if you were still here in the UK. In addition to the US, ‘Feel At Home’ now also includes Indonesia, Sri Lanka and Macau, adding to the existing list of Australia, Italy, Austria, Hong Kong, Sweden and Denmark and Republic of Ireland, where it is already applicable. So whether you are planning a Christmas shopping trip to New York or a skiing holiday in Austria, you no longer need to worry about your mobile bill upon your return. Three is the only UK operator to offer customers the same in-country mobile phone and mobile broadband rates for no additional charge as if they’re at home whilst abroad. Moving forwards it signifies a real shift in how customers are billed for mobile use when roaming in other countries. Feel At Home will automatically activate as soon as the plane touches down in one of the listed countries. As soon as you arrive, your phone picks up a local network and you can then chat to family, text your friends, post status updates and share holiday snaps whenever you like. Even if people go out of bundle, they will benefit from reduced roaming rates. All customers on pay monthly, Pay-As-You-Go, SIM-only, mobile broadband and business plans have the freedom to use Feel At Home within the limits of their current Three price plan, as long as international roaming is activated. If people exceed the limits of their current price plan then they will still benefit from special roaming rates that are lower than Three’s standard roaming rates. Calls and texts to non-UK numbers will be charged at standard roaming rates. Tethering is not allowed. 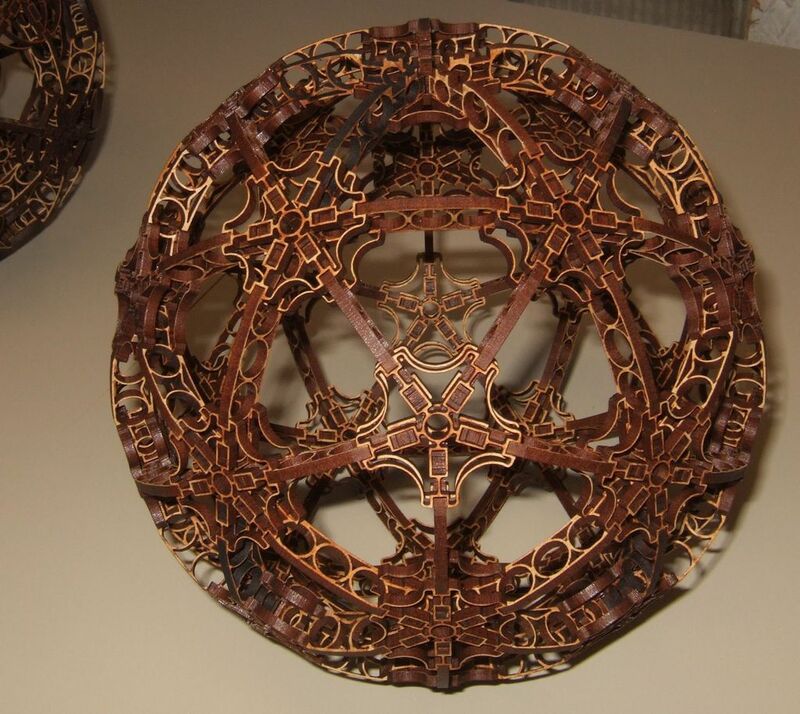 3D printing is nothing new and has, in fact, been around for a rather long time. But until recent years the technology has been very large and bulky, restricted mainly to factories and design labs and been very costly. All that has started to change, and now there is talk of a new Industrial Revolution. My own view is that we are quite a few years away from that, but the inescapable truth is that 3D printing is here to stay and really is set to revolutionise if not completely destabilise conventional supply channels. In industry, 3D printing uses a lot of materials, from plastics to light metals. The latest materials also include conductive, where electrical and electronic circuits may be incorporated into the finished product like never before. And it is this technology that has become commoditised to the point where it has entered people’s homes. Small scale at first, to be sure, but it is not unreasonable to expect to see the 3D printer become as ubiquitous as the washing machine or television in time to come. Why is that then? In a word, affordability. 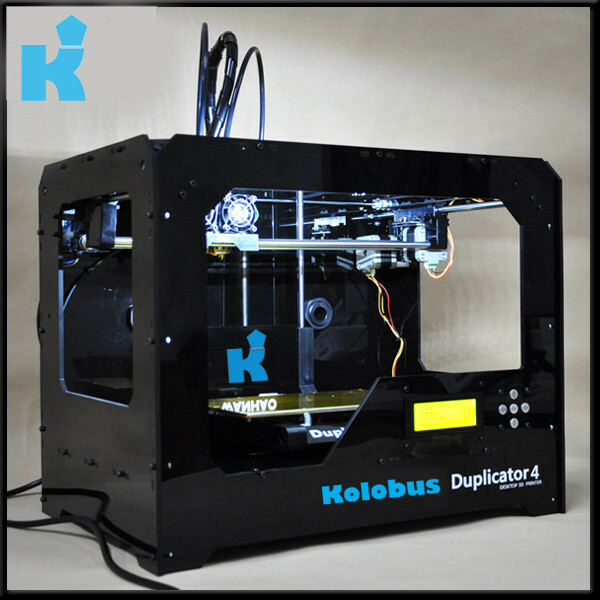 The 3D printer, similar to the one pictured above, has reached and in some cases broken through the £1,000 level and, while being out of the psychological price reach of perhaps many people, it is an important milestone. It means that the less serious hobbyist, the early adopter, the technologically curious will be inclined to buy one to use. And that is an important distinction from the experimenter or the colloquial geek who typically always lives on the bleeding edge of technology. This individual will be using a 3D printer to manufacture component parts or entire designs, some of which they may have created themselves. The “user” will instead want to simply produce items from readily available designs. And so, today already, 3D printing does not require any design talent or flair. So much is already freely available, yes for free, on websites such as Thingiverse.com and many others. Designs on these websites can be simply downloaded using a regular personal computer (Windows, Apple, Linux) and then sent by USB or an SD card to a 3D printer for manufacture. Several hours later the finished item is sitting on the printer waiting to be removed. Impossible and intriguing designs are capable of bring 3D printed in a single run, where conventional manufacturing techniques would require manual assembly, and thus cost. To a 3D printer such designs are no challenge at all. Even moving parts. All manner of goods can be printed, ranging from components, whole parts, jewellery, clothing. The limit appears to be only one’s imagination. And with the newer multi-filament 3D printers colours and materials may be blended into exciting designs. Domestic 3D printing has come of age. I would place domestic 3D printing roughly at where the first domestic videotape recorders were back in the early 1970s. In that time the very notion of self-recording TV programmes off the air was very novel in itself. Time shifting was unthinkable but followed very rapidly. And I see the same for 3D printing, niche and novel right now, but very definitely impinging upon the public’s awareness. Not the least through sensationalist news such as 3D gun manufacture and the furore that caused. But also through the very much more benevolent use such as printing new bone structures to be used in cosmetic repair. Recently a man had half his face reconstructed using 3D structures that would have been very difficult and extremely expensive to produce. Now such manufacture is reduced to a near triviality using devices such as the above and low to no cost software. Truly revolutionary. The next step to bringing the 3D printer into the average home is the construction of the actual device itself. Even the latest and greatest designs are exciting to the inclined but unappealing to the average person. Just showing my other half the printer above drew a “And where do you think you’ll be putting that?” comment. There was no evidence of shared excitement at the prospect. No, to enter the average household the physical design of the 3D printer has got to follow domestic conventions today. The raw material also has to evolve. Currently the construction “filament” for domestic 3D printers are limited to certain plastics, both fossil fuel based and organic. Future machines will have to incorporate metals, conductors and even colours. And the supply of the raw material will have to be worked out. Could it be piped to homes as Gas and Electricity are today? That alone would represent a massive infrastructure change. Clearly there are some significant logistics to be solved. But the future of domestic 3D printing in one form or another is assured. And the state of the art today is such that making the step up to home 3D printing is now completely viable and generally affordable. Will you be take the step up to self-manufacture? Three, the mobile Internet friendly mobile operator, have been quick off the mark to ensure that the new iPad Mini with Retina display is stocked on their shelves. The iPad Mini, if you’ve not been around lately, is Apple’s latest iteration of the genre, this model featuring Apple’s now legendary Retina display. What that means in real terms is a display screen that is crisp and sharp, showing none of the classic graininess of the typical computer or tablet screen. And in a 7″ format, the iPad Mini with Retina display is highly portable fitting pockets and bags easily, also weighing next to nothing. The models sold by Three are, of course, equipped with mobile networking for 3G and 4G the iPad Mini is completely ready for Three’s 4G when it is released to the public from December 2013 onwards. And with Three the 4G will be accessible, where available, for no extra charge, unlike any of the other UK mobile networks. Add the iPad Mini with Retina’s “up to” 10 hours battery life and you have a device that has the potential to give a full day’s practical use between charges. As with all mobile data plans on Three there is a per month usage cap, and in this case it is 15GB. That is a remarkable amount of mobile data for a tablet device and unless you are going to use it for streaming video it will typically more than suffice. Of course, that cap only applies to mobile data – if you are using the device across WiFi you are not in any way limited by your mobile data plan. If you already have a 3G/4G capable mobile data device and only want a data plan then Three have also announced that One Month contracts are available with either 1GB data for £7.50 a month or 10GB data for £15 a month. These are splendid low-commitment (30-day notice) contracts with very reasonable amounts of data. Head on over to Three’s website for full details of the various plans and devices and get yourself ready for the 4G roll out on Three. One month contracts are available with either 1GB data for £7.50 a month or 10GB data for £15 a month.